This year’s event supports two great organizations that work hard to support the trails and riding experience here in Sedona. 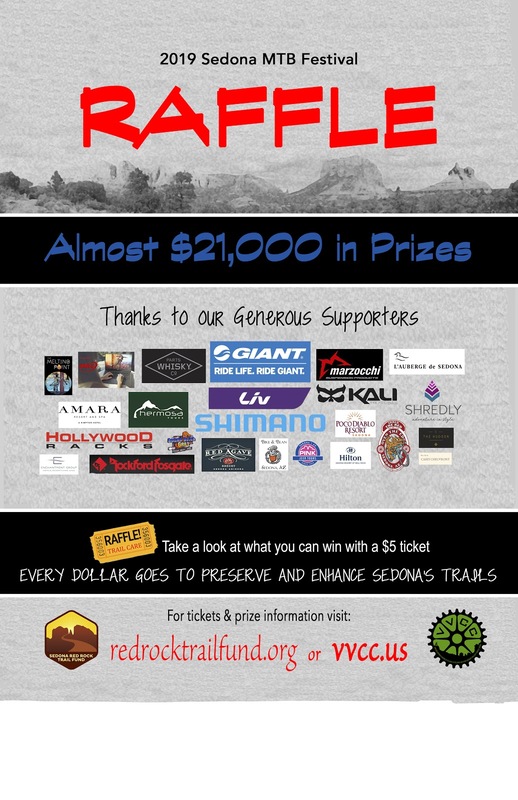 Please have a look at what these two groups do and know that by coming to the event and getting a pass that you are supporting the trails in Sedona and if you feel especially generous please donate to these wonderful groups. The Sedona Red Rock Trail Fund is providing the maps and trail advice that come free of charge with your entry to the event. They will also be hosting a raffle to benefit the trails. A portion of the proceeds from the beer garden will be going to the VVCC.